Adobe unleash a string of updates to help maximise workflow and increase ease of use, but the strain of staying on top appears to be showing. The latest iteration of Photoshop introduces a host of new features to aid workflow, along with much-needed improvements to its existing tools. Photoshop remains one of, if not the, best photo editing tools around. However, the subscription model needs to be addressed for it to stay on top in 2019. How good is Photoshop CC 2019? 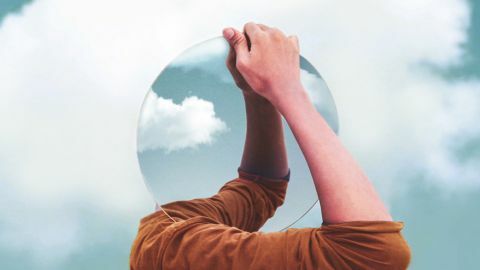 Back in October 2018, Adobe revealed the latest version of its Creative Cloud suite, which included a host of new features for Photoshop CC. From an improved Content-Aware tool, to live blend modes and and a controversial scaling feature, there's a lot for the creative community to get to grips with. Since Photoshop was released into the world 29 years ago, it's become the go-to tool for many an artist and designer, and with that comes a level of expectation. The latest update, Photoshop CC 2019 (version 20), introduces a number of new, albeit small, features, which seem primarily aimed at increasing the usability of the programme and improving workflow efficiency. However, not all the new features are a welcome change. But we'll get to that later. The Content-Aware Fill tool might not be the go-to feature for every budding creative, but it’s still one used by many. Powered by Sensei, Adobe’s artificial intelligence technology, this is one tool that has seen huge improvements as part of this year's update. A new standalone workspace for the feature allows you to achieve a seamless editing experience to maximise the quality of results. One of the most useful add-ons is the live, full-resolution preview generator, now displayed when working within Content Aware, and the ability to save the changes and results to a new layer in your Layers panel. Within the document window display, Adobe has added a range of controls to help, including showing the sampling area as an overlay mask on top of the image so you know exactly what you’re editing. While you are still able to use the tools in the traditional tools panel to modify the sampling and fill area, you can also utilise the Content-Aware Fill panel to specify fill settings, sampling options and output settings to get the desired end result. It’s this extra level of ease that the Adobe team seems to have focused on for the latest round of updates to their CC collection. They aren’t so much reinventing the wheel, but trying to make the wheel better than ever before. This isn’t the weightiest of the new features, but one that has come as a welcome update to the creative community. Photoshop CC 2019 allows you to preview blending modes instantly, while hovering over them in the drop-down menu at the top of your Layers panel. This may not impact the more seasoned of Photoshop users, but to a beginner, who’s just getting used to using the software, this update will allow for a much faster workflow. It also lends itself to a greater learning experience, as you are now able to see the subtle differences between the various blend modes instantly. Mirroring a feature which already appears within InDesign CC, you can now easily mask images by placing them into frames. Using the Frame Tool (K), you can quickly create a rectangle, or circular frame that acts as a placeholder for images. You can also convert any bespoke shape or text into image frames. To do this, simply create a frame, and then drag an existing image into it. The image will automatically fall into the frame, and like with InDesign, you are given the option to scale the image inside of it, plus markers to indicate the size of the image within the frame itself. While this is another fairly small update, which has been carried over from an existing Adobe application, it’s good to see Adobe taking strides to try and improve Photoshop's type and layout capabilities – much like it did with the variable type update in CC18. It’s also an indicator of Adobe potentially attempting to win back digitally savvy creatives who are using programmes like Sketch. There's been a lot of buzz about these small but very significant updates. These 'Just Do It' updates will undoubtedly improve the speed of workflow ten-fold, as many creatives uses them frequently. First up, you are now able to undo multiple times simply by pressing cmd+Z – news that received a resounding cheer when presented at Adobe Max 2018. Another Just Do It is the new Auto-Commit feature. Previously, if you wanted to write out text, you had to navigate to the top of the screen and press the tick icon anytime you made an edit, which, let's face it, was super-annoying. This has now been fixed and you are able to simply click anywhere on the screen to approve the change. The last update worth commenting on is one of the most controversial changes – an update to the Shift scaling function. While in previous versions, you had to hold Shift to scale proportionately, Adobe has now reversed it, meaning you do not need to press any shortcut to proportionately scale, but do need to hold Shift if you want to activate variable scaling. While this does make sense, many users like myself – who have been using Photoshop since its release – may find this an unwelcome change that actually impedes workflow. So how good is Photoshop CC 2019? Like every update in recent Creative Cloud releases, version 20 is about gradual improvement. Photoshop CC 2019 is a powerful image-manipulation package, and the new features help create a more efficient workspace within the app. The Just Do It features, and live blend modes, in particular, will come in very handy from a production point of view. That said, the new features as a whole lack a certain 'wow' factor and there are still issues with Adobe's overall subscription plan when it comes to cost and overall access to multiple applications. These days, more than ever, creatives are required to jump between programmes and be highly adaptable, but with Adobe only allowing a single app subscription, or the full master suite, there's an issue of affordability. If you don’t operate in a team workflow and only require a standalone photo-editing app, rival software like Affinity Photo could make for a viable and cost-effective option. However, if you’re a creative who regularly works as part of a collaborative workflow – whether in the studio or at home – or if you use a multitude of other Adobe applications and enjoy the streamlined experience of jumping between them, Photoshop remains a worthwhile investment that’s limited only by your imagination and talent.